Don't let the negative effects of resentment hold you back in life - Let the power of subliminal messages help you to let go of resentment forever! Do you feel "stuck" because of something you experienced in the past has made you resentful and bitter? Do you have someone in your life you never forgave because you resent them so much? Is your resentment holding you back from a brighter future? Is your resentment stopping you from living the life you want to live? Holding on to resentment because of something that happened to you in your past can stop you from experiencing new positive things in your life. If within just a few short weeks from now you could let go of all your resentment from the past and move forward with your life would you be interested? What if you could do so in an easy but very powerful way? Both are possible with the help of this these subliminal messages to help you to let go of resentment! 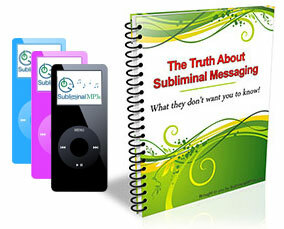 This subliminal album will give your subconscious mind new thoughts to focus on instead of the old thoughts from your past that are holding you back. The messages will change your mindset so that you become naturally happy and looking forward to the future. Instead of replaying the events that caused you to allow resentment to take over in your mind, you will soon find yourself letting go of those thoughts. You will realize you cannot move forward until you let go of your past and you will be excited and ready to start a brand new chapter in your life. You will notice you are no longer interested in stuff that happened in your past and you will put all of your energy into creating a better future. Once you make the decision that it's time to change, you can close the doors on past resentment and open new doors where the potential of your future is unlimited. Take a moment to imagine how fulfilling your relationships become because you are free from resentment. You no longer let events from the past interfere with your relationships. You learn from your past and use that knowledge to have more successful relationships and avoid making the same mistakes over and over again and this makes you feel happier knowing both you and your partner will enjoy the future together. Imagine the changes you can make in your life when you are free of past resentment. You approach your career from a fresh perspective and no longer focus on whatever happened in your past. You are prepared to move forward knowing you cannot change the past,but you can look confidently to your future. This makes you feel empowered, refocused and excited about new possibilities. See how much happier you are when you let go of past resentments and begin reconnecting with family and friends. You feel like your old self before resentment dominated your thoughts. You feel "whole" again and look forward to getting your relationships back on track. This is what this subliminal can help you achieve in your life but you can't just listen and then do nothing. The messages will change your thoughts to let go of resentment but you will have to accept the changes and be sure to act on the new impulses you will eventually feel. 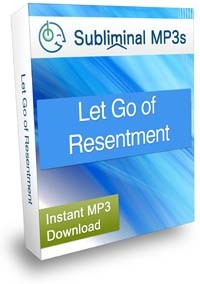 Download these mp3s today and move forward with your rest of your life in a positive way! This album often works well when coupled with our Forgiving Others album - it gives you a boost by helping you to forgive people who have wronged or hurt you and helps you to let go and move towards a brighter future too.